Well we can’t say this is how we wanted to start our BLOG but it does in many respects highlight the difficulties that local (and cross country) bee keepers / ranchers are having. Over the past few years, there has been a great deal of focus on what many experts are calling Colony collapse disorder. 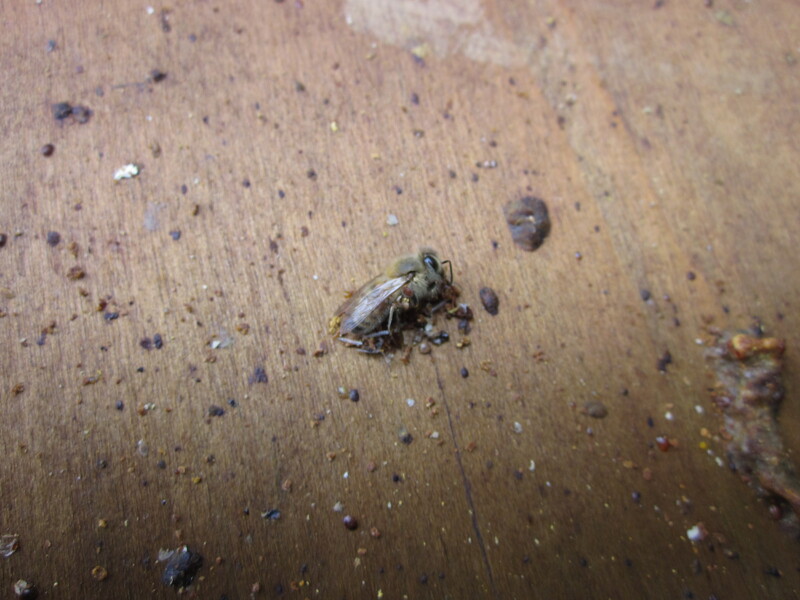 What it is exactly and how it strikes our friendly Honeybees has yet to be pinned down. All the experts know is that there has been a significant decline in healthy honeybee colonies across the nation (and parts of Europe). As for the pics above and below, an unfortunate sight. One of our favorite backyard colonies – dead. Definitely not Colony collapse disorder but the effects of Varroa destructor – mites. 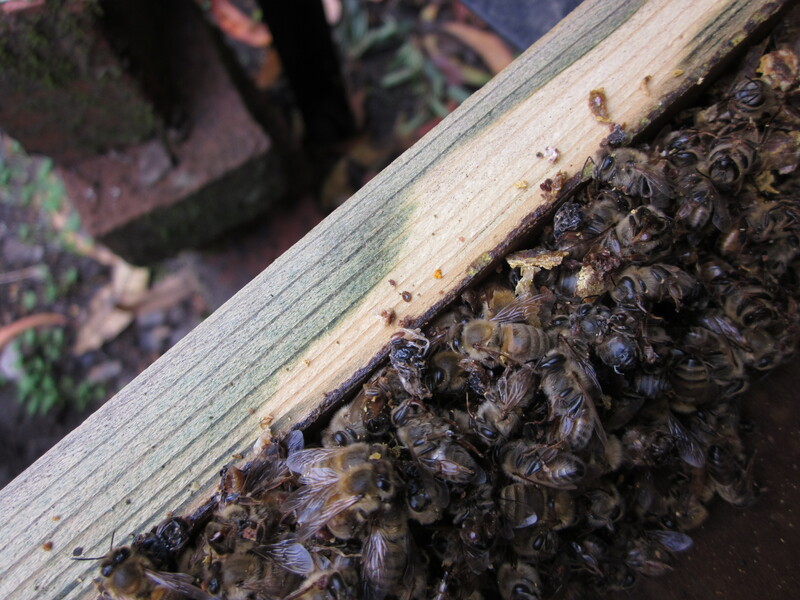 This past Fall, we confirmed that several of our fellow bee keepers around the East Bay got hit pretty hard by mites. Something we all watch for. It is preventable but not always caught in time. The intent of the Bee Rancher BUZZ BLOG is to provide and share information and news – both the good, and the bad (as in this case) to our clients and fellow Honeybee lovers all over the Bay Area. As they say, information is power and hopefully we can channel some of that power toward helping our local Honeybee populations. Are you a San Francisco Bay Area beekeeper? Did you have difficulties with mites this past year (2011)? If so we’d like to hear about it and how you are dealing with them. This entry was posted in Bay Area, Colony collapse disorder, Disease, Honeybees by beerancher. Bookmark the permalink.